Philosophy for busy people. Listen to this succinct account of the philosophy of Derrida in just one hour. Jacques Derrida's 'deconstructionism' is nothing less than an effort to destroy all 'writing' by demonstrating its inevitable falsehood. The writer writes but does not know what he is writing. Derrida argues that all texts have their own hidden agenda and contain their own metaphysical assumptions - the writer's very language inevitably distorts what he thinks and writes. The 'truth' of all our knowledge is thus undermined; post-structuralism arrives. 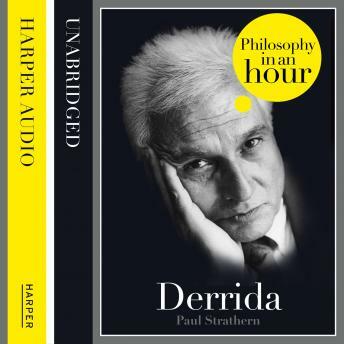 This is audiobook is an expert account of Derrida's life and philosophical ideas - entertainingly written and is above all easy listening. Also included are selections from Derrida's work, suggested further reading, and chronologies that place Derrida in the context of the broader scheme of philosophy.